During Refugee Week, Threads: From the Refugee Crisis is 40% off until June 25 at midnight UTC. Click here to activate your discount. Verso will donate £1 from every purchase to Médecins Sans Frontières. 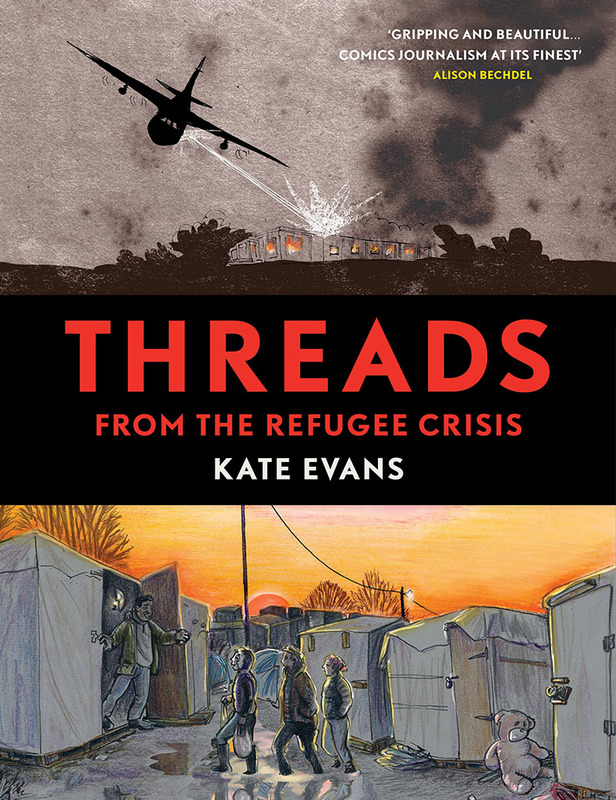 During Refugee Week, Threads: From the Refugee Crisis is 40% off until June 25 at midnight UTC. Click here to activate your discount. Verso will donate £1 from every purchase to Médecins Sans Frontières. The refugee crisis may have slipped from the the media spotlight this year, but it has far from disappeared. The greatest displacement crisis since World War Two continues to take thousands of lives: the death rate among migrants attempting to cross the Mediterranean to enter Europe has almost doubled since 2016, itself a record year. In the French port town of Calais, famous for its historic lace industry, a city within a city arose. This new town, known as the Jungle, was home to thousands of refugees, mainly from the Middle East and Africa, all hoping, somehow, to get to the UK. 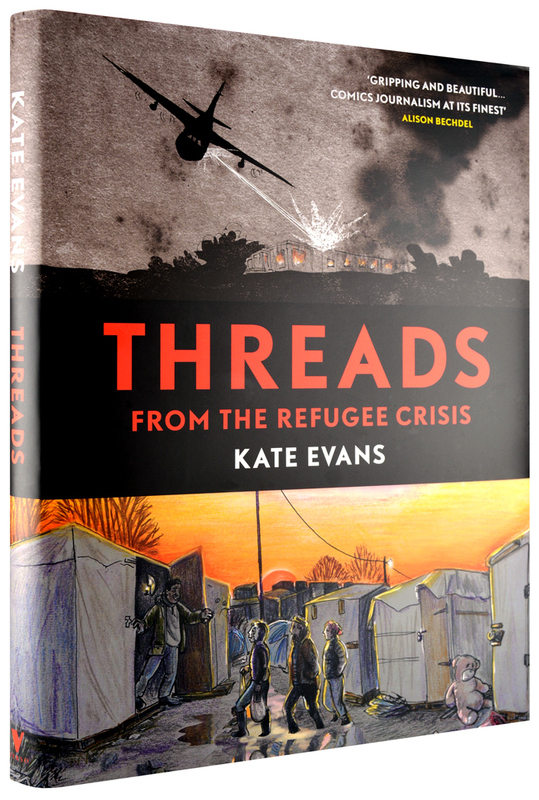 Combining the techniques of eyewitness reportage with the medium of comic-book storytelling, Threads is an unforgettable account of Kate Evans' time volunteering with the refugee aid effort in the Jungle. 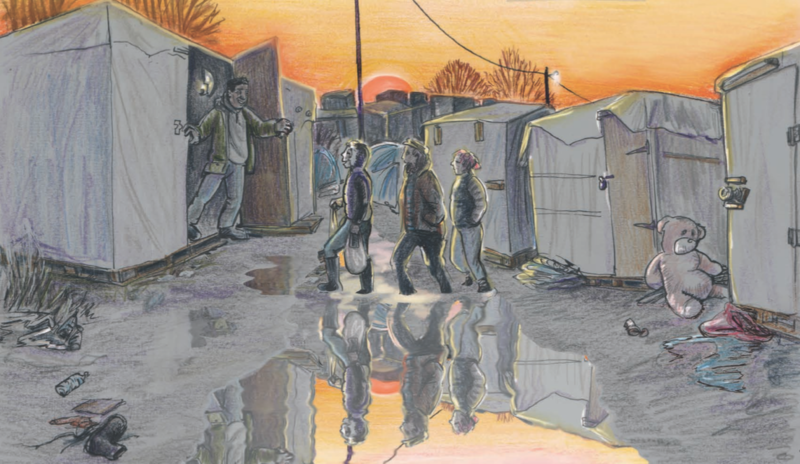 By turns shocking, infuriating, wry, and heartbreaking, Threads addresses one of the most pressing issues of modern times to make a compelling case for the compassionate treatment of refugees and the free movement of peoples. Watch: Kate Evans in conversation with Verso.